Ideal Journal Of Environmental Science And Management “IJESAM” is an online International Journal of Environmental Science and Management. It is a double blind, peer reviewed, open access referred Journal having a brand value among the world’s best Journals focusing on theories, methods and applications in Environmental Management and Sciences. We publish peer reviewed manuscripts focusing on theoretical and empirical research in all areas of Environmental Management and Sciences, etc. 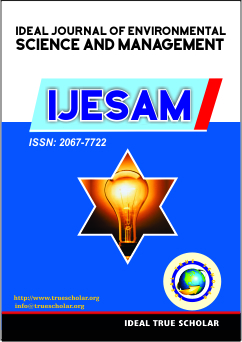 IJESAM is a highly-selective journal, covering topics that appeal to a broad readership of various branches of Environmental Management and Sciences, and related fields.